When it comes to choosing the right garage doors for your home, it can be a big decision. You don’t realize what an impact having the right garage doors makes on the overall appearance of your home. There are different styles that will obviously work best with certain house styles. 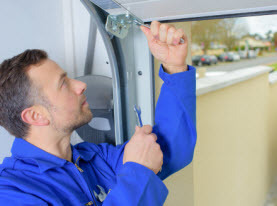 Vegas Valley Garage Door Repair is here with a basic run down of the different garage door styles and types that you should consider for your home. –	Traditional Raised Panels: This is a clean, classic look for any home. Also, one of the most popular garage door styles on the market. They are distinguished by the raised rectangular panels symmetrically positioned across the garage door. –	Contemporary: Many of these garage doors are built out of frosted glass that gives your home the contemporary look and feel that you are looking for. –	Carriage-House: These are commonly known as barn style garage doors and are very charming from the street. Perfect for rustic homes and even craftsman style houses. –	Wood: The price varies on wood garage doors. They are a great way to add a beautiful, organic feel to your home. You do have to paint or stain them regularly to keep them from getting damaged by weather. –	Steel: If you are looking for a low maintenance option, this is it. This type of material is definitely the leading choice among homeowners for its minimal upkeep. It is also a sturdy option that is durable and withstands the tests of time. –	Aluminum: For those that have an extra wide garage door, aluminum is a great choice because it is lightweight. They are more expensive that steel, but still a great choice. Your garage door is so large, you may want to consider choosing one that is lined with insulation. If you heat or cool your garage, this is a must. The plus side to insulation is the fact that the back of the garage door has a more finished, polished appearance that some homeowners appreciate. If you are storing chemicals or other hazardous substances in your garage, insulated garage doors don’t allow proper ventilation and that should always be considered as well. No matter what garage door you choose for your home, Vegas Valley Garage Door Repair can keep it working properly for you. 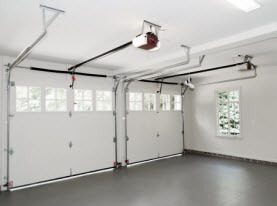 Scheduled maintenance is the key to avoiding garage door repair and shouldn’t be an afterthought. 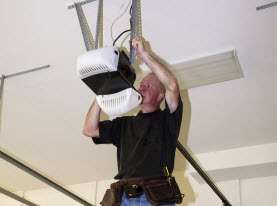 Many people don’t think about their garage door until there is a problem. Don’t let that happen to you. 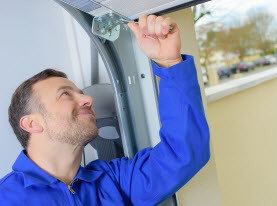 Call us today to schedule your routine garage door maintenance.